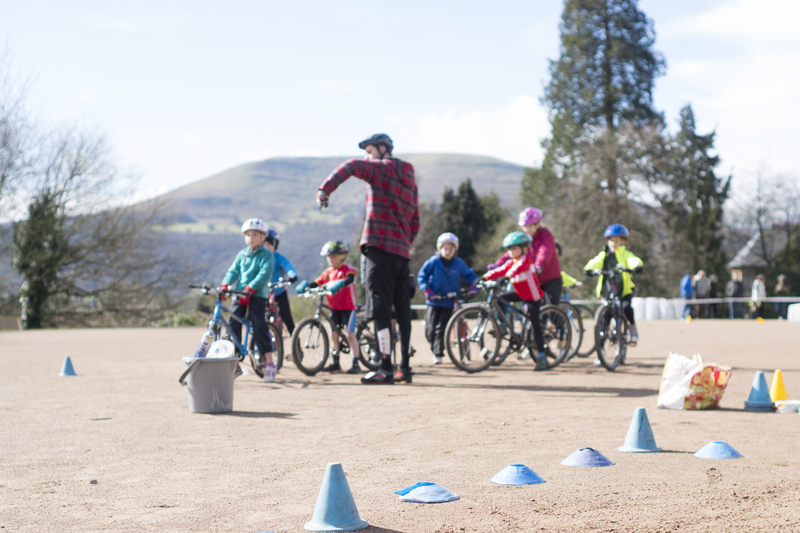 Abergavenny Road Club runs coached sessions for our young riders, aged between 5 and 16 years, each Saturday, between 10.30 am and noon, in line with school term dates. With a rich history of developing the talents of young riders into the Welsh stars of tomorrow Abergavenny RC’s volunteers are certainly not sitting on their laurels and continue to drive the club forward increasing the numbers of members which has led to an expansion of the coaching workforce. So how does the club manage such a large number of coaches and riders each week? Each week well in excess of 60 young people turn up to Abergavenny Sports Centre to use its vast grounds for the club weekly sessions. To find us, drive past the centre, and along the exit road above the playing fields. Immediately prior to the exit, turn right and you will find us on the gravel pitch (which we call the red gra). With a large number of coaches and additional willing volunteers the club has devised different coaching areas for the different groups of riders to use during each morning’s sessions. 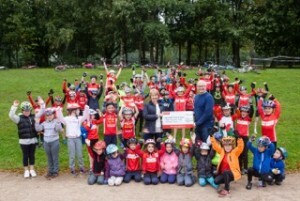 The club utilises a redgra hockey pitch where young riders, starting there cycling journey and learning all about developing the core techniques and above all having fun. This creates a fantastic atmosphere with the club and in engaging both parents and riders to get involved with the club and sport, no doubt leading to even more future stars of the sport coming from this strong club. On arrival, look for a coach or parent helper. They will welcome you and ask you to complete a pack which includes information about the club, a Parental Consent and Rider Information form, a membership form and a bike and clothing checklist. Please complete the Consent form before you child commences the session. We will add your child’s name to our coaching register, so that we can log their attendance each week. Regular participants must become members of Abergavenny RC. The club is affiliated to Welsh Cycling and registered with British Cycling’s “Go Ride” development programme, which provides a fun and safe way to introduce young riders to the world of cycle sport and provides a platform to improve bike handling skills. To embrace the huge demand for youth cycling the club has invested heavily in volunteers to ensure to ensure that cycling is inclusive to all and sessions are provided free of charge. Parents are expected to get involved by helping set up or clear up after sessions, assisting at club events, etc. Your child must have a bike which is in good working order (it is essential that it has working brakes and older riders will need working gears). He/she needs a helmet, comfortable, tight fitting sportswear and a pair of gloves or cycling mitts. In cold or wet weather, waterproof clothing is required. He/she also needs to bring a drink of squash or water in a suitable container. If your child is inexperienced or new to the club, you must remain at the session the whole time – the club does not offer a child minding service. Our sessions involve a group warm-up, lasting about 20 minutes. We then split into groups, depending on age / ability. Older riders enjoy sessions based on competition and challenging skills, whilst the younger groups enjoy skills activities including slaloms, fun races and even the limbo bar! 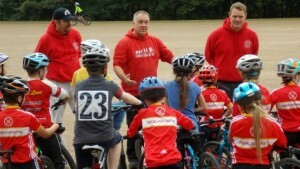 Each rider is expected to listen to and obey all instructions given to them by the coaches and helpers and be on their best behaviour to ensure the safety of everybody. 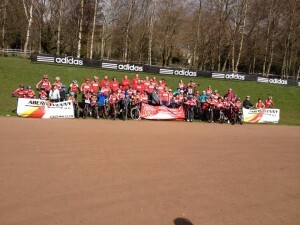 Abergavenny Road Club is committed to operating a safe, enjoyable environment which is inclusive and welcoming to all. The club does not discriminate, and ensures that all coaches operate to appropriate levels of conduct when representing the club. Sessions are run by fully qualified and insured British Cycling coaches, while all volunteers, trained or otherwise, who have prolonged direct contact with children have been subject to a DBS Enhanced. If you have concerns regarding any activities, please contact the club’s dedicated Welfare Officer; Helen Osborn, who will liaise with Welsh Cycling to ensure issues are addressed according to the British Cycling Safeguarding policy. The National Safeguarding Lead Officer for Wales is Alistair Waldron. As a parent/carer of a member of Abergavenny Road Club you are expected to abide by the following code. • remember that children participate in sport for their enjoyment, not yours. • show appreciation and respect for coaches, officials and administrators, as without them, your child could not participate. • pay any fees promptly. As a member of Abergavenny Road Club the club, young people are expected to abide by the following code. • respect the rights, dignity and worth of all participants regardless of their gender, ability, disability, cultural background or religion. • thank officials and opponents after competition. 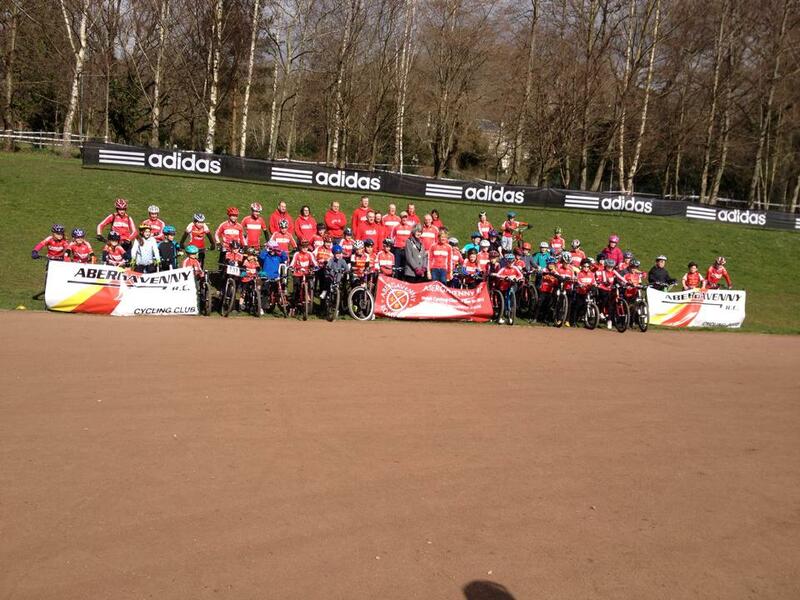 Abergavenny Road Club was voted Welsh Cycling’s Club of the Year in 2013, 2014 and 2015. We successfully hosted The National Cyclo-cross Championships 2015 and have contributed wholeheartedly in many other events. We encourage riders to enjoy events and activities away from the town. Our young riders compete in The Welsh Cyclo-cross League, British Schools Cycling Association events, Welsh MTB Series, in many closed road or mountain bike events and many attend sessions at the Wales National Velodrome. The club supports a number of talented young riders who regularly compete at National and International events and been selected for the Talent Team; participating in British Cycling’s Youth Development Programme. World track champions, Becky and Rachel James, Commonwealth Games rider, Rhiannon Henry, Team Canada 2012 Head track coach Richard Wooles, current GB MTB Coach Julian Winn, and British Lions and Wales rugby player George North are club members.